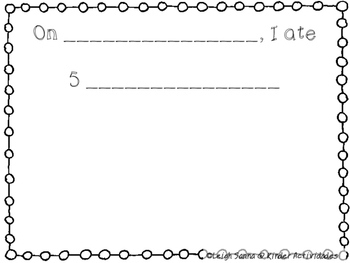 This book is for Kindergarten/First Grade writing/reading. 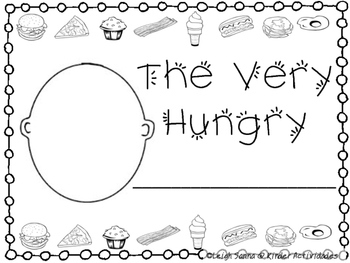 On the cover, the student will become the one who is very hungry! He or she should write his/her name and also draw a picture of his/her face on the template. 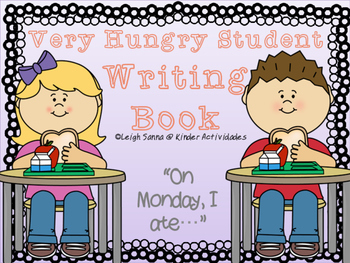 For each page, the student fills in the day of the week (Monday, Tuesday, Wednesday...) and the food he or she ate on that day. Monday, the student eats 1 of something, Tuesday, he eats 2, and so on. The student then draws this food in the box below. For Sunday, the student draws any assortment of food that he/she likes! For Sunday, the student can draw any assortment of food they like...just like the caterpillar who ate through cheese, salami, ice cream, a pickle...etc!